Learn about creating and accessing email on the Gmail platform. 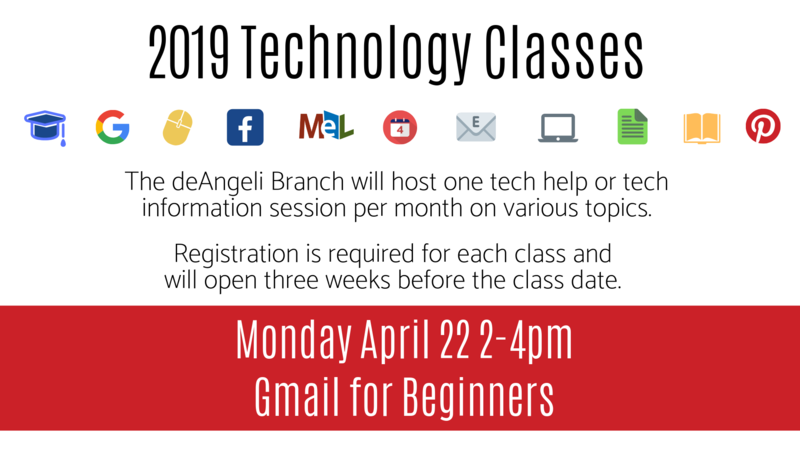 Attendees will learn how to open and send email, as well as attaching photos, files and more. Laptops will be available but attendees are encouraged to bring their own device to practice on. Registration opens March 22nd. Please register online or call 810.664.6971 for more information.